Green Hosting Learn more about our eco hosting. Public Cloud starting at $49/mo Configure your virtual machine today. 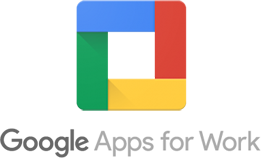 Our online Google Apps migration solution provides a comprehensive transfer of all your data. Making your world easier to manage. When it comes to the status of your infrastructure, staying up-to-date is essential – you can’t navigate tomorrow’s technological landscape with yesterday’s tools. That’s why NetFire prides itself on offering the latest technologies to make sure your company is prepared for the future. Whether you’re looking for better load balancing functionality or dedicated firewall service, we’ve got you covered. Our firewall service prevents malicious activity from reaching your servers or end users, and is supported round-the-clock by our security engineers. Our load balancing options give you a more efficient workflow by allowing you to shift traffic across the servers you choose. NetFire’s VPN appliance lets you remotely manage all your account’s servers and processes on our private network or your own private VLAN. Unlimited file transfers, secure system / network management, and more. The ability to manage your infrastructure from anywhere in the world makes it simpler to get work done. All communications over your private network are strongly encrypted, so you can get things done without any hassles.